Morris Animal Foundation-funded researchers uncovered several key factors contributing to a die-off of South American fur seal pups, including mites, pneumonia and sea surface temperature. The findings, published in the Journal of Wildlife Diseases, help scientists better understand the link between environmental factors and health. "Disease often is the forgotten piece in the conservation puzzle," said Dr. Kelly Diehl, Senior Scientific Programs and Communications Adviser at Morris Animal Foundation. "We hope these findings highlight the urgent need to study the connection between environmental changes and wildlife diseases, studies that will lead to better health and protection of at-risk species. It is an area that Morris Animal Foundation continues to invest in heavily, particularly as we see more species negatively impacted by changes in their habitats." With support from Morris Animal Foundation, Dr. Mauricio Seguel, a research fellow at the University of Georgia, and his Chilean colleagues studied a mass die-off of South American fur seal pups on Guafo Island in Northern Chilean Patagonia. "The cause of this increased mortality was a severe lung infection and inflammation leading to bronchopneumonia. It was caused by a combination of parasites (nasal and pulmonary mites) and bacteria. This study shows for first time in this fur seal species that a combination of common parasites and bacteria can have adverse effects in the population," said Dr. Seguel. Dr. Seguel and his colleagues isolated and identified two types of streptococcus bacteria from bronchopneumonic pups. They believe the mites compromised the pups' breathing and airflow and helped the strep bacteria flourish, leading to severe and fatal disease in the young animals. Another potential factor in the outbreak was the corresponding and sudden warming of sea surface temperature in the Guafo Island area. Higher sea surface temperatures can lead to changes in the marine food chains that affect multitudes of marine species and can add additional stress to an entire population of animals. Studies in this fur seal population also have shown that the immune system of fur seal pups is sensitive to changes in patterns of maternal care, which vary when environmental conditions in the ocean, such as sea surface temperature, change. "Today, we worry about how most environments are rapidly changing, and even the most isolated places on earth have felt the effects of human development and impact," said Dr. Seguel. 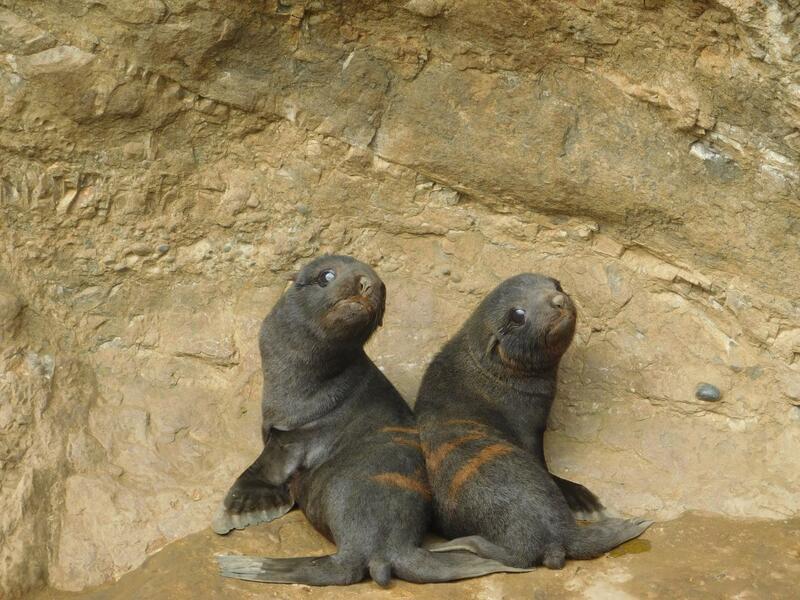 "South American fur seal populations are widespread. For reasons not clearly understood, the remote Chilean populations of this species have had a dramatic decline in the last 30 years. Our team is working to understand the connection between environmental changes and the role of diseases in wildlife systems." For nearly a decade, researchers have conducted health monitoring studies at Guafo Island. New research by Dr. Seguel and his team is looking at hookworm infections in the South American fur seal pups with up to 100 percent prevalence. These infections cause anemia and retarded growth in a third of the pup population. Like the respiratory mite finding, hookworm prevalence reaches 100 percent in years with higher sea surface temperatures. ""My interest in wildlife diseases started in my childhood, growing up at the Chilean Patagonia. In this place I saw the importance of the environment-wildlife-human linkages and how diseases constantly modified our surroundings. These projects raise concern on the effects of climate change on marine ecosystems. This subject requires further investigation to help improve the health and protection of marine mammals and other animals dependent on these changing habitats," said Dr. Seguel. Other recent findings by Dr. Seguel's team include a floating debris survey and the role of sea gulls on the health and welfare of South American fur seal pups on Guafo Island that also was funded in part by Morris Animal Foundation. Morris Animal Foundation's mission is to bridge science and resources to advance the health of animals. Founded by a veterinarian in 1948, we fund and conduct critical health studies for the benefit of all animals. Learn more at morrisanimalfoundation.org.